Freestyle is one of the fastest swimming strokes and by decreasing your body's resistence to water you will swim faster through the water. By starting the freestyle stroke in the position, with your head tucked down and chin towards the chest you will enable your body to move through the water in a very natural way. Because you decrease your resistence, you will use less energy to propel yourself through the water. The Swimming Snorkel allows you to swim for longer periods in the base position and learn the correct body position. Designed for use with convenctional swimming goggles and silicone swimming cap. 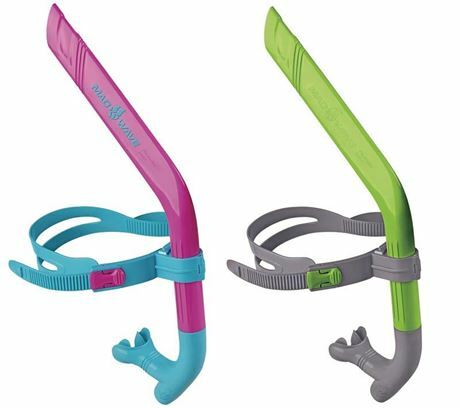 For beginners we recommend an additional noseclip.